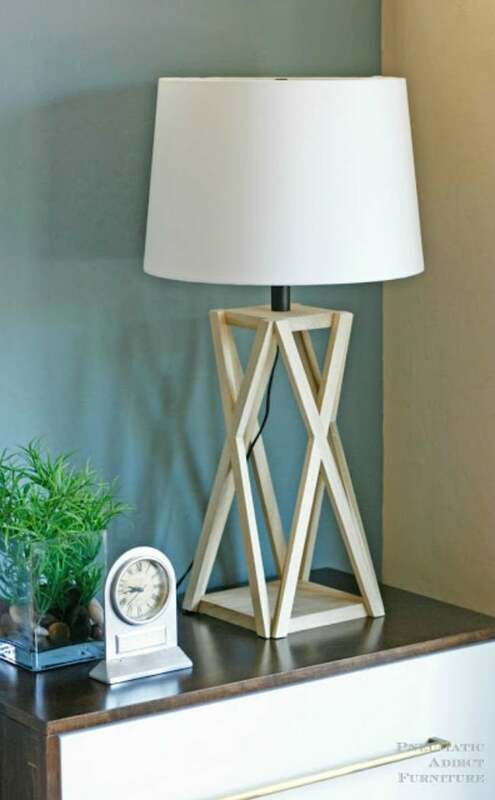 With a few pieces of wood and a little elbow grease, this crafty creator built an X-shape table lamp that makes itself at home on any side table. After coming across an X-shape table lamp, Elisha of Pneumatic Addict was convinced that she could build a similar—and less expensive—model for her own home. With a little bit of patience and a lot of careful assembly, she ended up with a better-than-store-bought version that complements her decor perfectly. 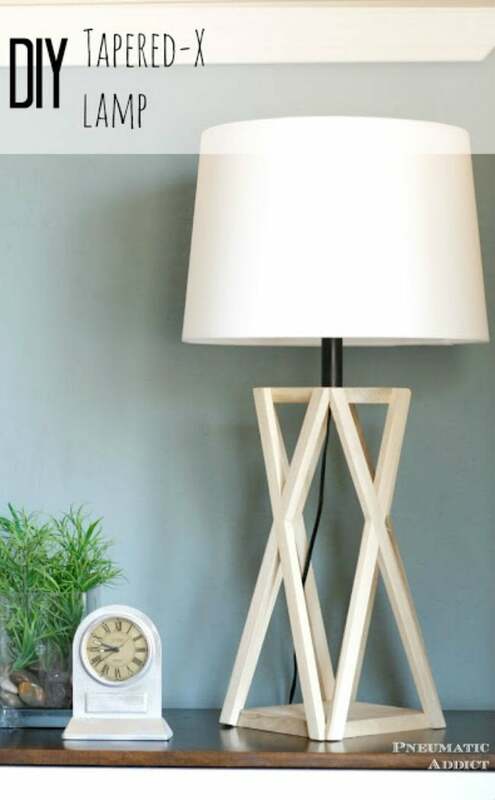 To start, Elisha carefully crafted her lamp’s base by cutting the top and bottom plates, and then connecting them with a piece of scrap wood. Next, she used wood glue to attach the first strips for her Xs. After the glue was fully dried, Elisha removed the middle piece of scrap wood, and then cut the X strips using an oscillating multitool so that they were flush with the top and bottom blocks. She repeated her process with the remaining strips. Elisha then cut her diagonal pieces by hand, attached them with wood glue, and trimming any excess as necessary. After some sanding and wood filler, the structure was complete and ready to be transformed into a stunning lighting piece using a lamp kit. 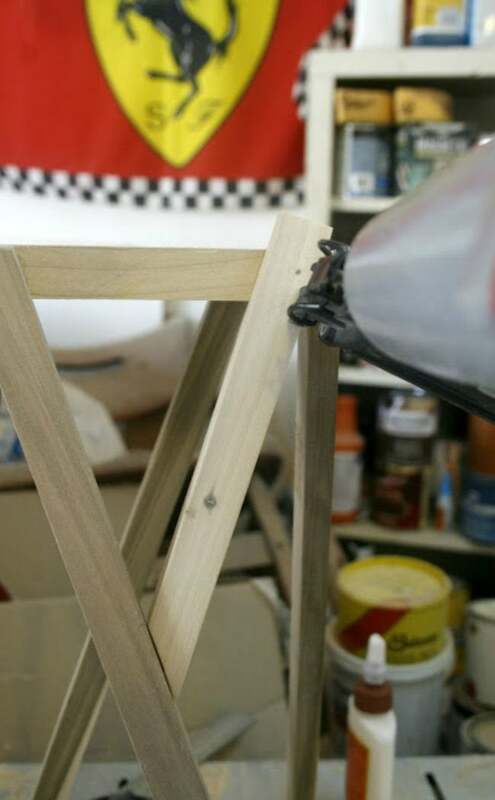 For the full step-by-step, or for more inspiring DIY furniture ideas, visit pneumaticaddict.com.